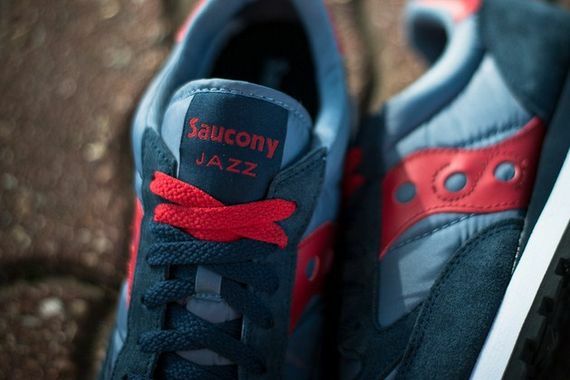 Saucony has been dropping heat lately, and this latest rendition of their classic Jazz silhouette falls nicely in line with their previous releases. 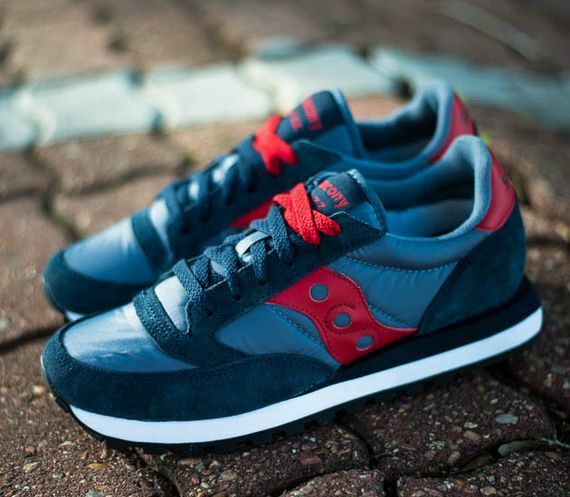 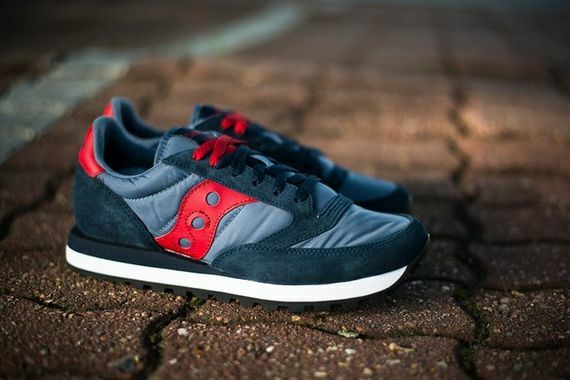 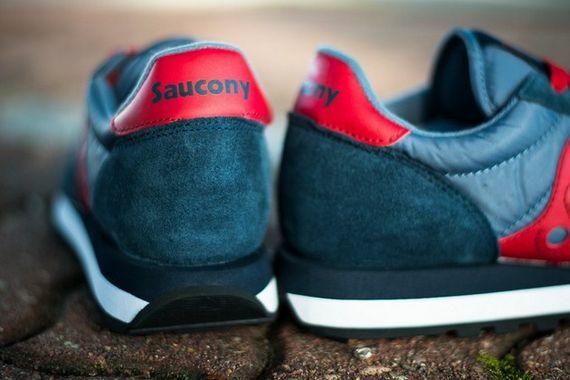 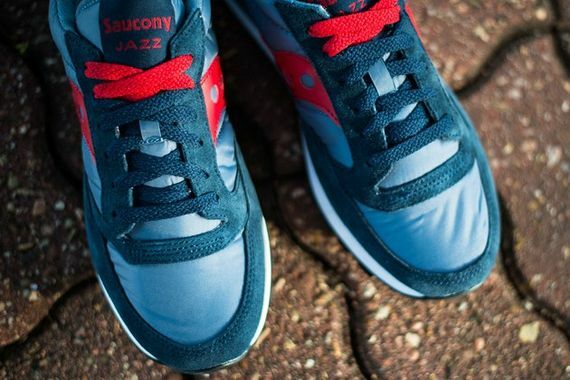 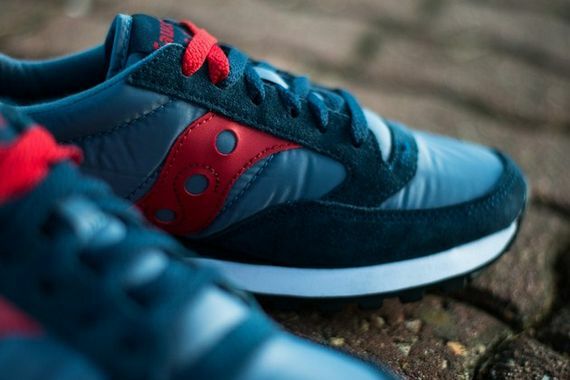 Featuring the ever popular nylon and suede construction that has taken over the sneaker world, this particular pair sees a rich navy drape the suede elements, giving an almost velvet like feel, while the paler blue nylon plays the part of intermediary for the bold navy and bright red accents of the Saucony signature side-strip and heel. 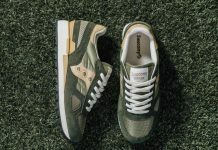 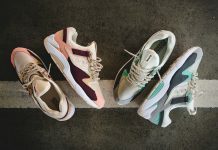 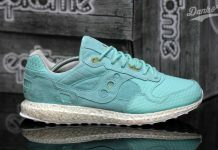 These budget conscious kicks are available now, and for future info on Saucony and other releases be sure to check out of Facebook, Twitter and Instagram.